I’m traveling to Sudbury, Ontario this week. As the ‘Capital of Northern Ontario’, Sudbury is a center for mining, engineering, and education. By North American standards, they invest in a very large number of service hours, which is required in order to serve the city’s spread out geography. The settlement pattern follows local nickel ore bodies, railroad yards, and fertile land spread across a large impact crater. Pulse service is provided every 15 minutes weekdays on the most important routes from 7am to 10pm with further service across the entire network until after midnight. 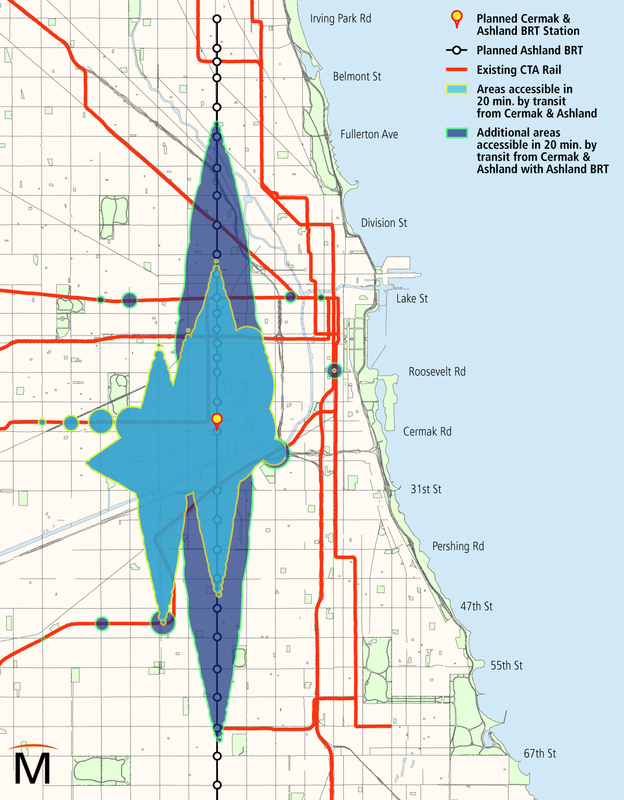 Further to last week’s post, I’ve produced a set of plots showing bus locations vs. time for the 66 Chicago bus route. These handily show where delays and bunching occur along the route. The plots are generated by polling the CTA Bus Tracker API every minute and plotting the position (‘pdist’) of each bus along its assigned route over time. The pdist variable is offset for the various patterns associated with a route in order to compare all route patterns on the same plot. Line segments are omitted for any gaps in the data greater than 5 minutes apart or for bus speeds greater than 70 mi/hr. Given that the GPS location of CTA buses are not reported with 100% reliability, some buses either do not show on the plot or transmit unreliable positions. Large gaps in service shown on the plot may or may not be real, however bunching is real. More plots and comments on them will be posted next Sunday. Three weeks ago, WBEZ’s Curious City segment asked why buses bunch in Chicago and what are the options for reducing bunching. As with many popular articles about physics, the piece described interesting facts while conveying a slightly incorrect intuition about the phenomenon. The process of transit vehicle bunching requires only that customers loading causes delays. Customer caused delay is both necessary1)Technically, a delay correlated with the time gap to the bus in front is necessary. In practice, only customer caused delays have this property. and sufficient to create bunching. Customers arriving at each stop at a constant rate create a delay for the next transit vehicle to arrive due to time required to board. The speed of the vehicle thus decreases in proportion to the excess time gap ahead of it, quadratically increasing the size of the gap over time. Through this mechanism, vehicles departing at equal intervals are in an unstable equilibrium. Any deviation from equal time intervals, identical driving, or constant customer demand will become amplified and cause bunching. 1. ↑ Technically, a delay correlated with the time gap to the bus in front is necessary. In practice, only customer caused delays have this property. Two Wednesday’s ago, the University of Chicago held a public meeting about a new draft bicycle plan for the campus. A total of 3 students, including myself, were in attendance. The possible range of initiatives for such a plan is very broad. As a friend of mine noted before the meeting, “what does a bike plan mean?” Essentially, it is a plan to develop infrastructure and policies to make cycling safe and convenient on campus. The Ashland BRT proposal promises to provide service with similar speed and frequency of a new ‘L’ line across the heart of the city. This project would dramatically improve travel for tens of thousands of existing and potential customers. The proposed reallocation of street space to transit has received vocal opposition from businesses, a strong admonishment of the project’s Environmental Assesment from a former CDOT engineer and tepid political support. This series of posts will examine the case for BRT with some details not in the EA, potential design decisions to be made, and examinations of the concerns raised in Mr. Kaeser’s letter. Other criticisms from the Western-Ashland coalition have been well rebutted elsewhere.